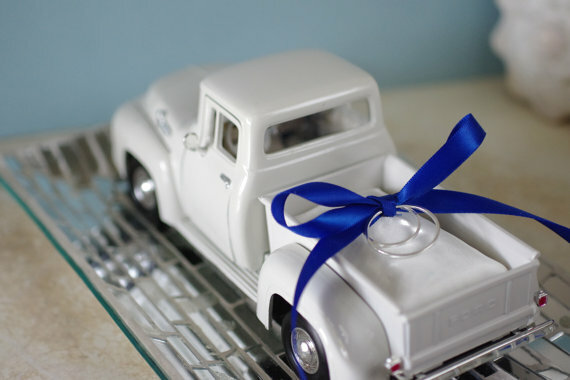 While not exclusively for vintage weddings, this vintage inspired 1956 Ford toy truck ring bearer pillow is a creative twist! 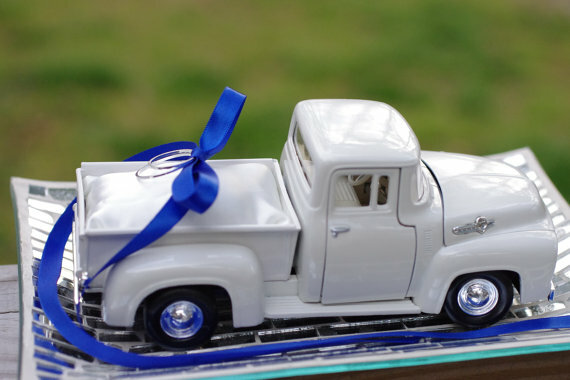 Instead of a traditional ring pillow, this toy truck can be used in its place. 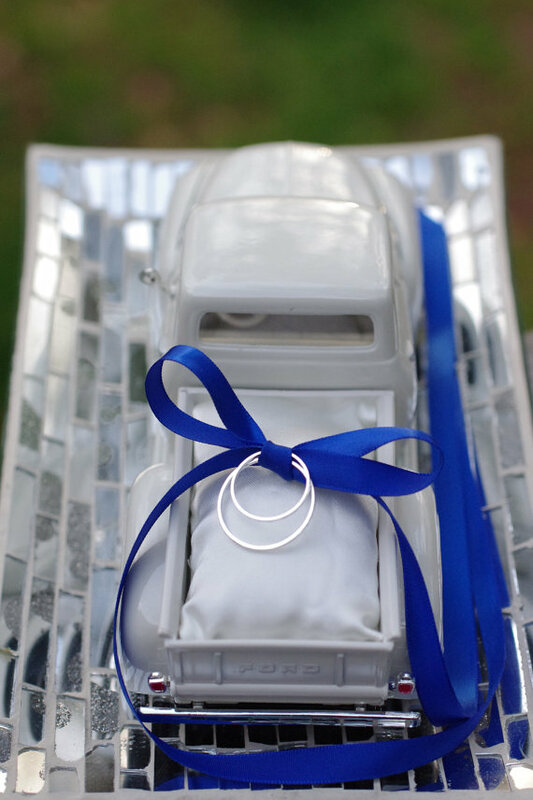 A small white satin pillow in the bed of the truck features ribbon to hold your rings; the pillow is removable so your ring bearer can play with the toy truck and keep it after the ceremony. We love dual-purpose wedding ideas! Your ring pillow + your ring bearer’s gift? Consider those two crossed off your list this week! 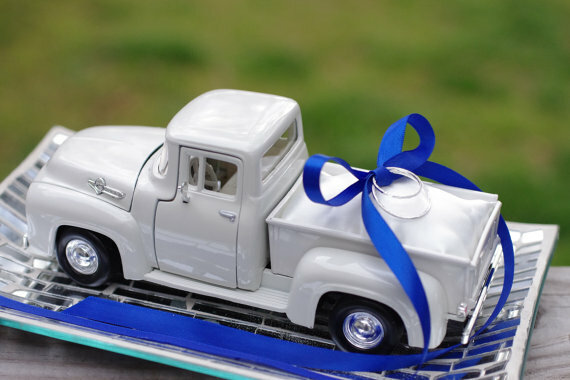 This adorable handmade truck ring bearer pillow is by By The Seashore. Get this truck ring bearer pillow now or see other adorable wedding decor items at By The Seashore.